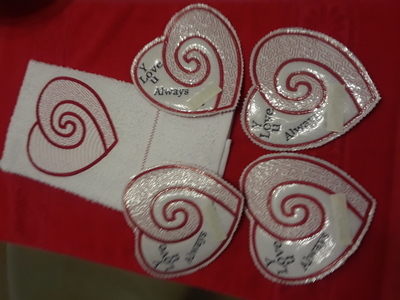 This valentine heart design is an applique from Kreative Kiwi. 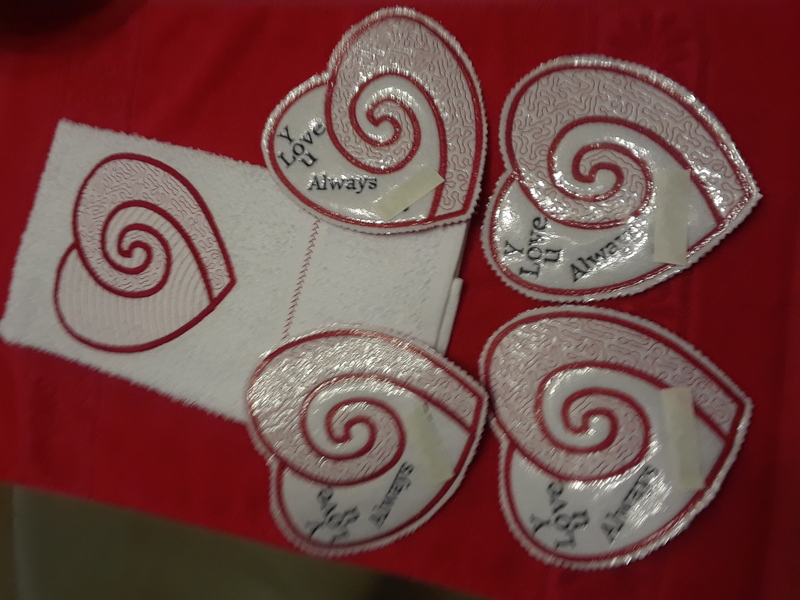 I didn't want to applique it so I stitched the coasters on felt covered them with heat and bond to make them water proof then stitched a towel. (It stitched out beautifully) Decorative stitches on the bottom of the towel. These are valentine gifts for my daughter and her family. I covered the names. Not sure why the position changed when uploaded. What fun to see and hear different ideas--HeatnBond--was that the vinyl type and is this the shiny coaster ones or HeatnBond and then iron to the towel? I have some vinyl I want to try to iron to fabric--never used it before but going to try it on pre-printed placemats another day. Old product but new to me. Nicely done--submit to Heather's FB competition!